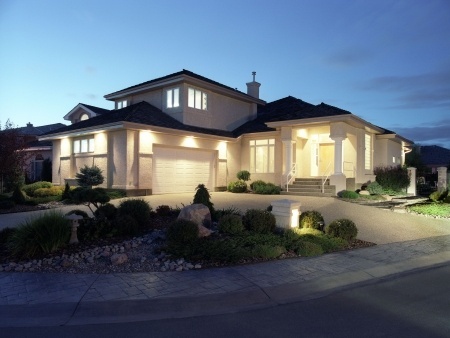 Realistically, not many home or business owners think about the lighting outside of their properties. Many people are most concerned about their interior lighting and don’t often consider the importance of exterior lights. The reality is, though, that having bright and well-maintained lighting outside of your property can add safety and improve its overall appearance. In terms of safety, landscape lighting can help keep a residential property, like an apartment complex, safer. For instance, if the walkway from your parking area to the building doors has steps or isn’t a straight path, someone could stumble and fall if there isn’t enough light that would allow them to see where they’re going. This is equally true for commercial properties, although with these buildings – since they are often unoccupied at night – some troublemakers may want to cause property damage or spray graffiti tags. If the exterior of your building is well lit, however, it serves as a deterrent. Without shadows to work in, any person trying to deface your building could be more easily seen by passersby who could notify the police. Lighting can make a huge difference around the home as well. Say you’re having people over for the first time. Not only do you want them to find your house, but you want them to feel comfortable upon arriving, as well. Outside lighting can help in both of those regards, as well as make your home look nice to anyone driving by. You can also use exterior lighting to brighten up a porch or patio, giving you more space to mingle with friends, family or other guests outside after the sun goes down. Lighting at a commercial property can also improve its appeal. Having bright, well-placed lighting on the outside of your property can draw potential clients’ and customers’ eyes to the business as they drive by at night. If the lighting looks good, you very well could improve your overall chances of creating new business for yourself just by having a well-kept and attractive exterior appearance. 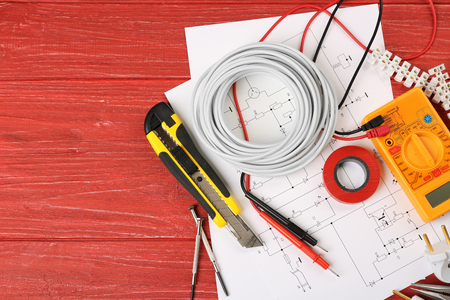 If you’re interested in adding exterior and landscape lighting to your home or commercial property, Always On Electric can help with our full range of electrical wiring and installation services. For more information or to find out more about how we can light up the outside of your home or business, call us today at 970-309-2616!